The Schuster Center provides a world-class facility for the best in local, national and international performing artists. The Dayton Opera, Dayton Philharmonic Orchestra, and Victoria Theatre Association call the Schuster Center home. 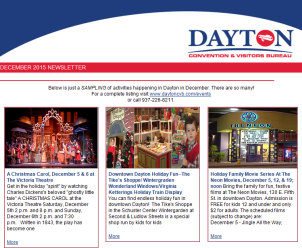 It also showcases select Dayton Ballet productions. A variety of other local arts groups and promoters also utilize the facilities. The Schuster Center is also available to rent for meetings, parties, receptions, and performances. Don&apos;t miss "The King and I" coming to the Schuster Center February 12-17, 2019. To learn more about upcoming shows at the Schuster Center, visit the Victoria Theatre Association&apos;s website.